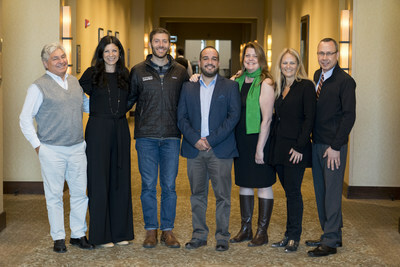 BOSTON, March 18, 2019 /PRNewswire-HISPANIC PR WIRE/ — The Chilean Salmon Marketing Council (CSMC), a U.S.-based entity dedicated to strengthening the reputation of Chilean Salmon, announced a new creative campaign, “The Promise of Patagonia,” at the annual Seafood Expo North America (SENA) in Boston today. “The Promise of Patagonia” is focused on forging the connection for American consumers between the cold, clear waters of Chilean Patagonia, and the salmon they put on their table. Starting this month, it will live on print, online and out-of-home channels. “The mystique of Patagonia is well-known,” said Ricardo Garcia, CEO of Camanchaca, Vice Chairman of Salmones Camanchaca and Chairman of CSMC. “We are emphasizing the pristine Patagonian region of Chile, where salmon is raised in the pure coastal Antarctic waters. As stewards of this remarkable ecology, CSMC’s members proudly produce high-quality salmon using environmentally responsible and sustainable aquaculture,” said Garcia. 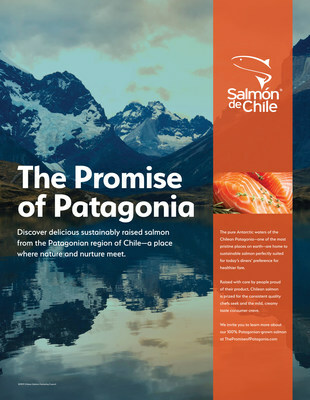 “The Promise of Patagonia” will also signify CSMC members’ commitment to the welfare of the region’s salmon and to the environment in bringing a high quality, reliable and nutritious fish to market year-round. As a proof-point to this commitment, SalmonChile, the national association for the salmon industry in Chile, CSMC, and the Monterey Bay Aquarium® (MBA) collaborated to form the Chilean Salmon Antibiotic Reduction Program (CSARP), a landmark initiative to reduce antibiotic use by 50 percent as a step toward reaching a Seafood Watch® Good Alternative by 2025. “A 50 percent reduction in antibiotic use, in concert with other improvements to the industry, could lead to a Good Alternative recommendation. Improvement on that scale is excellent news for Patagonia, and for everyone around the world who enjoys Chilean salmon. We’re proud to support this work and are hopeful to see real change along the way to our 2025 goal,” said Jennifer Kemmerly, Director of Global Fisheries and Aquaculture at the Monterey Bay Aquarium. Members of CSMC will be available to speak to press at the SENA show in Boston. Please contact Rebecca Appelman at 410-218-0431 or rebecca.appelman@ketchum.com for media inquiries. 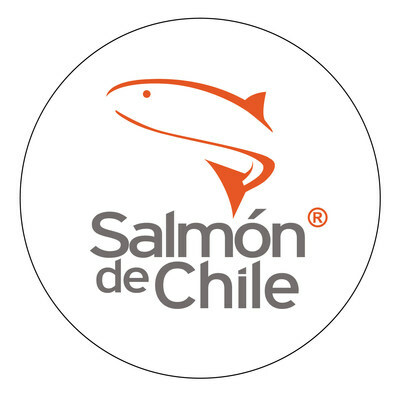 The Chilean Salmon Marketing Council (CSMC) is a U.S.-based entity dedicated to strengthening the reputation of Chilean Salmon while increasing value and healthy growth for member companies. CSMC is governed by a Chile-based executive board and managed by a U.S.-based President/Executive Director. Member companies include AgroSuper (Aquachile, Los Fiordos, Verlasso), Cermaq Chile, MultiExport Foods, Australis, Salmones Camachaca, Bluemar, Ventisqueros, Salmones Austral, Marine Farm, Salmones Magallanes. For more information, visit http://chileansalmon.org. The Monterey Bay Aquarium is a non-profit, 501(c)(3) tax-exempt organization whose mission is to inspire conservation of the ocean. The Monterey Bay Aquarium is the most admired aquarium in the United States, a leader in science education and a voice for ocean conservation through comprehensive programs in marine science and public policy. The Aquarium’s Seafood Watch program is part of a comprehensive initiative to improve the sustainability of global fisheries and aquaculture, through policy leadership, scientific research, industry partnerships and consumer engagement. Everything we do works in concert to protect the future of our blue planet. More information is at montereybayaquarium.org and at seafoodwatch.org.